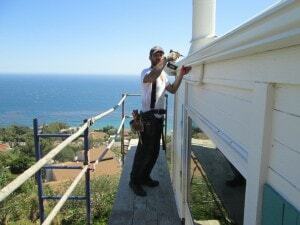 At Rain Gutter Pros, Inc., we maintain a very high standard for every job we do. As we value the confidence our customers place in us, we put in the extra effort needed to ensure the finished job is one we can be proud of. Our high standards are set by the owner and operator of Rain Gutter Pros Inc., Mr. Oz Figenbaum. For nearly a decade, Oz has been working tirelessly to serve the needs of thousands of customers all over the Southern California area. With a keen eye for all the details, Oz makes sure that every job is perfect. For quality and workmanship you can rely on, contact Rain Gutter Pros, Inc. today!